Small Business Vision: Why Do You Do What You Do? Blog Small Business Vision: Why Do You Do What You Do? Do you see how lofty and full of purpose they are? Yet they provide direction. With Amazon’s vision, do you think they might decide to open a brick-and-mortar tractor store some day? Doubtful. And if they did they likely wouldn’t brand it under the name Amazon. And what does IBM’s vision statement tell you about innovation? Is it just for the heck of it, just to build a better mousetrap? No, it has to matter. It must have a purpose. So when an engineer gets a new idea for a nifty piece of technology, she needs to pass the gate of making sure it matters and will make a difference in the success of IBM’s customers. Business author Simon Sinek wrote an amazing book called “Start With Why: How Great Leaders Inspire Everyone To Take Action“. In it he describes The Golden Circle, a way to find order and predictability in human behavior by allowing people to understand why they do what they do. His premise is that few companies can clearly articulate why they do what they do, other than to make money. Most small business owners when they describe their business, begin with describing what they do (e.g. sell chiropractic services). Every business can describe what products and services it delivers, that’s the easy part. Some companies are also able to describe how they do what they do. The “how” goes beyond describing internal processes, but is the unique selling proposition of what makes you different and would motivate someone to use your products or services over those of the next guy (e.g. by combining heat, massage and body posture training with spinal manipulation we help clients to hold an adjustment for longer, thus requiring fewer visits to achieve and maintain a pain free life). Yet very few small business owners publicly describe why they do what they do. And as their business grows, the why becomes lost in the shuffle. The “why” relates to the higher purpose of the company, why you get out of bed every morning and why anyone should care. Research shows that employees are more likely to choose and remain loyal to a company when their work has meaning and they believe it makes a difference. Social media has a greater impact on consumer buying decisions and people want to engage with companies with a purpose. They want to understand who is really behind the company and what they’re all about. The era of the faceless corporate mask is over. When I work on a Focus Marketing Plan engagement with a client, we begin with their “why” and reflect back on their key truths as a business. We talk about why they started their business and the mark they want to make on the world. Typically the clients who love you the most and who you would love to clone, are those who intuitively “get your why”. They resonate with you and what you’re truly about as a business, and they just feel good to work with. 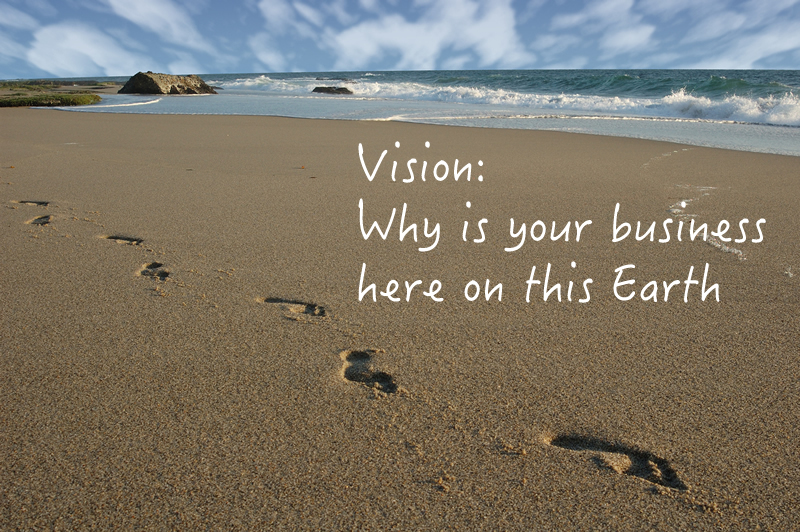 In order to Focus your business you must begin with your vision of why your business is here on this Earth. It’s ok to want to make money, but you, your employees and your clients will all be much more satisfied if you begin with your business vision of “why”.